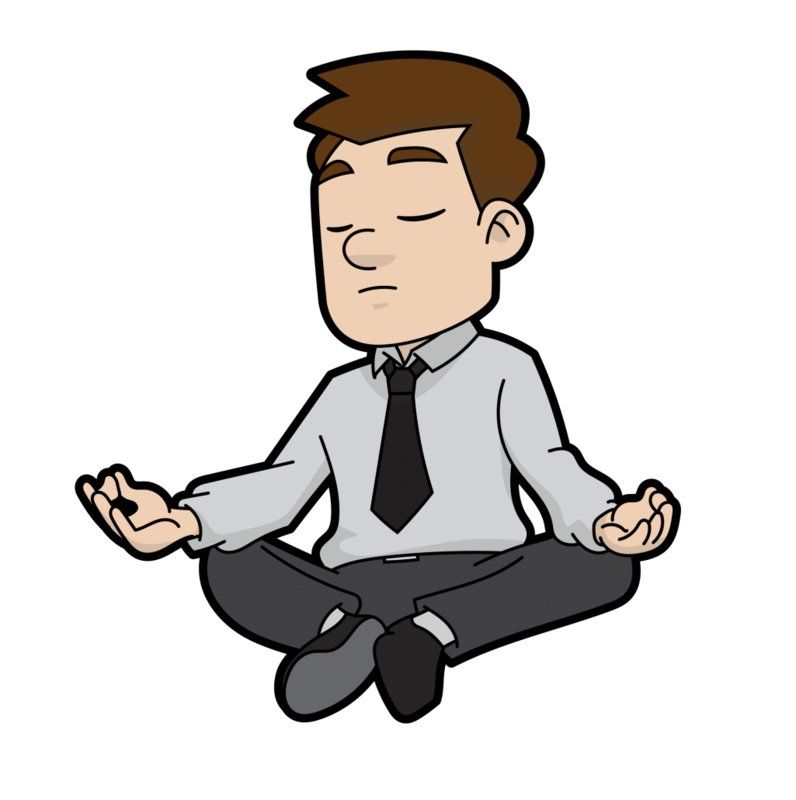 Below is a great article which I think provides a very nice introduction on how to start a meditation practice. It is based on the teachings of Zen Buddhism. Formal, silent, seated meditation in Zen is called Zazen and this article provides the aspirant with clear and concise guidelines on how to establish a strong and consistent Zazen practice. It is posted here with permission from the author, Lynn Kelly. Why establish a daily sitting practice? Is there suffering in your life? A sense of incompleteness or dissatisfaction? Through meditation practice and study of the Dharma (the teachings of the Buddha), you can reduce confusion and develop inner calm. The result is the ability to become more fully present with each moment of daily life and to develop a compassionate understanding of how we relate to ourselves and others. As with all things, start where you are. You have everything you need right now. First, decide to sit each day. Next, plan the time, place and duration for your sitting meditation. Choose a time: Morning is often best because the mind is calmer than it is later in the day. However, the best time is the time that you can commit to on a regular basis. If one longer sit isn’t possible, try two shorter ones. Choose a space: There is no perfect place. If possible, dedicate a space exclusively to your daily sitting. Choose a relatively quiet space where you can leave your cushion (or chair) so that it is always there to return to. You may want to create an altar with a candle, inspiring photos or statues. These are not necessary, but are beneficial if they help to motivate you. Choose a duration: As long as is comfortable, plus 5 minutes. This is a general guide, not a rule. Even fifteen or twenty minutes will seem an eternity in the beginning, but that impression will change with time. If you sit each day, you will experience noticeable benefits (e.g., less reactivity, more calm) and be able to increase your sitting time. Set your intention: It is helpful to recall at the start of each sitting meditation why you are doing it. Remember that your purpose, to become more open and free, will benefit you and those around you. Set your posture: Alertness is one of the two essential ingredients in every meditation. Sit on a chair, cushion, or kneeling bench as straight and tall as possible. In the beginning, sitting against a wall can help you learn what a straight back feels like. Around this straight-back position, let the rest of your skeleton and muscles hang freely. Let the hands rest comfortably on your knees or lap. Let the eyes close, bringing the attention inward. Relax deeply: Openness is the second essential ingredient in every meditation. Once you feel your spine is erect, let everything else relax, hang loose, and soften. Breathing through the nose, loosen the face, neck, hands, and stomach area. You may want to begin at the scalp and move your attention slowly downward, methodically relaxing and softening each part of the body. Please don’t skip the step of relaxing/letting go! Consciously releasing body tension will help you open to whatever arises during your meditation. Other body changes during breathing, e.g., the rise and fall of the chest. Sounds as they arise from within the body or outside of it. Other body sensations as they arise. Whatever object you select, stay with it for at least ten breaths. Even with this effort, your mind will insist on going to its usual places. Make note of this when it happens, and gently lead your attention back to the chosen object of meditation. Your intention and persistence are the key ingredients for cultivating awareness, not the number of times your mind wanders. As often as you need to, check yourself — “Alert and erect? Relaxed and open?” – and begin again. 1) Mindfulness of the body (starting with breath). 2) Mindfulness of feeling (there are 3 – pleasant, unpleasant, and neutral). 3) Mindfulness of mental objects (thoughts and emotions). 4) Mindfulness of all dharmas (all phenomena), starting with the 5 hindrances and the 7 factors of enlightenment and proceeding to all the sense and thought experiences that make up human life. If you are interested in learning more about the four foundations of mindfulness, read Breath by Breath by Larry Rosenberg, or The Heart of Buddhist Meditation by Nyanaponika Thera. To learn more about metta meditation, read Lovingkindness by Sharon Salzburg. 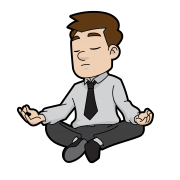 Concentration and mindfulness: It will be important as you practice to recognize and balance the qualities of concentration and mindfulness. Concentration is the ability to gather your attention into one place. Mindfulness is pure moment-by-moment noticing. Without some concentration, mindfulness is difficult to sustain. Without mindfulness, concentration bears no fruit. In meditation practice, both are developed gradually. Monkey mind: At first, you may be surprised at how active and uncontrolled your mind is. Don’t worry – you are discovering the truth about your current state of mind. Accept and “sit with” whatever comes up. Don’t try to change it by force, use patience. Sit up, relax, and gently bring your attention back again and again to the object of your meditation. It is common to mistake thinking for meditating. It takes practice to distinguish pleasant, dreamy thoughts from having your attention connected to the changing experience of this moment. Staying focused on the body/breath is a good way to stay grounded in the present. Meditators experience all of these states. During sitting practice, if you notice one of the hindrances arising, it is useful to name it silently to yourself, e.g., “grasping, grasping” or “sleepy, sleepy”. If it is strong, try not to pull away from the difficult energy, but bring all of your attention to it. Let yourself experience it fully through the sensations in your body, neither getting lost in it nor pushing it away. Watch what happens without expectations, and when it dissipates, return to the primary focus of your meditation. As Ven. Henepola Gunaratana encourages in Mindfulness in Plain English: “Examine [the hindrances] to death”. When you clearly see the suffering created by grasping and aversion, you will naturally start to let them go. Sit every day, even if it’s for a short period. A few times during each day, establish contact with your body and breath. Remember that everyone wants to be happy, just like you. Practice regularly with a group or a friend. Use inspiring resources such as books or audiotapes of dharma talks. Study the Buddhadharma (e.g., the 4 Noble Truths, the Noble 8-Fold Path). Sign up for a retreat – one day, a weekend, or longer. The experience will deepen your practice. If you miss a day, a week, or a month – simply begin again. You are traveling a path that has led to clarity and peace for many people over thousands of years. May their efforts support and inspire you. If you are interested in learning more about meditation or becoming a meditation teacher. The following 2 programs which are now open might be of interest to you. I think the author of this is not really a practicing Zen Buddhist, since several aspects that are unique to zazen are not mentioned. For instance zazen is the only form of meditation, other than taoist (which influenced it) where the eyes are kept half open rather than closed. Let me just ad – in my personal experience, consistency is the key – if you are just starting out – you might easily get frustrated with meditation because you keep asking yourself “where are all those transcendental experiences?” Meditation like anything is habit forming and once you establish this habit – little subtle changes take place in your attitude, demeanor and personality. Overtime this change is profound and can inspire you to do things you never thought possible. Great info here! Very impressive! Such a good post. I am really wanting to practice meditation because we could able to release unnatural part of our inner life. we are the helping people, we will give all in all to others same as this. ur doing very well. Thanks for stopping by and giving your feedback. Also, thank your brother for sending you ;-). Great question. You are right that meditation is not just concentration, although meditation requires concentration. It is best to think of meditation, as awareness of “what is”. So Meditation is the action of awareness and intelligence, which carries you from Dualism, to Oneness. In other words, currently “what is” is dualistic thinking, meditation or observation of this, throws you back onto just awareness itself, which is undivided and whole. To experience first hand what I am indicating, you may want to try the “Silent Mind Meditation Technique“. Anmol, what exactly is meditation? Zazen, to me, comes off as being a sort of “concentration.” I thought that meditation is the opposite of concentration (you’re not focused on any specific point…it’s like you’re doing nothing…the state of “no-mind”) What exactly is meditation? Thanks for your feedback, glad you are finding the contents useful. Some great insights and direction for the beginner. Thank you. Hi Vendy, Glad you are enjoying the blog. Thank-you for your feedback. thanks for the article. your blog is quite comprehensive! Hi Vin, glad you found it useful… this article provides a good introduction to Zazen practice… thanks for your feedback. You are right, an excellent article on getting started.